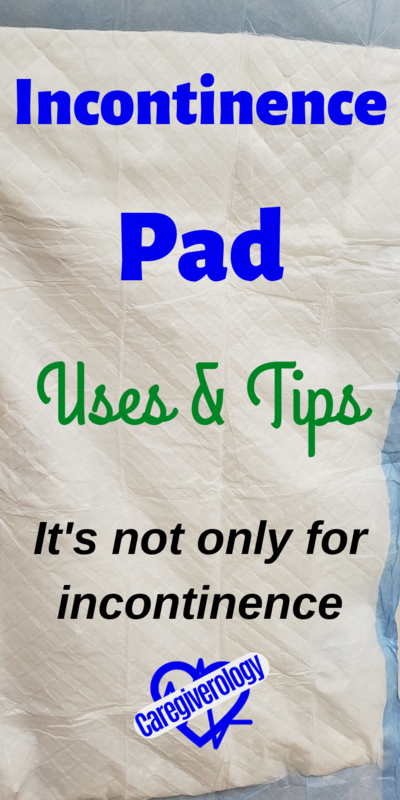 Incontinence pads are useful in many situations including patients that aren’t even incontinent. They are often also used to reposition patients who are on bedrest. They go underneath the patient’s bottom. They have saved me from having to change all of their bed linens many times. They are often used in conjunction with an adult diaper. There are disposable ones as well as reusable ones and are either square shaped or slightly rectangular. They all come in about the same size give or take a few inches however, the bigger, the better. Incontinence pads seem simple enough to use but one common mistake I have seen time and time again is where exactly it is placed underneath the patient. I see many caregivers positioning the top of the pad at the top of the patient’s back. From my own experience, I have learned to put the top just slightly above the hips. They almost always slide up towards the patients back over time especially with adjustable beds. Patients constantly slide to the bottom of the bed and the incontinence pad will not slide with them. It’s not anybody’s fault, it’s just gravity. 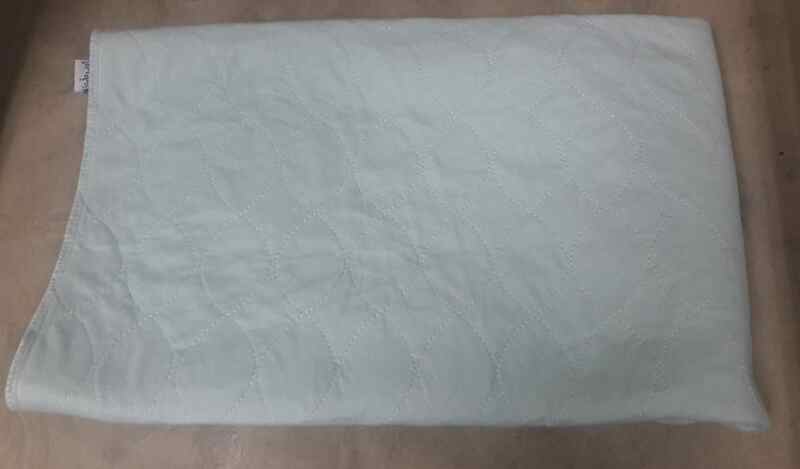 One of the most common uses of incontinence pads besides saving a bed from being changed is sliding bedridden patients up towards the head of the bed. You will need two people, one on each side of the bed. If the patient is heavy, it never hurts to ask for more help, just make sure everyone is on the same page. Make sure the bed is completely flat. Some beds, especially ones at hospitals and similar facilities have an adjustment called trendelenburg. This tilts the entire bed backwards so gravity can assist with pulling the patient upwards. I usually hold the end at the patient’s hips with one hand, and hold it almost to the bottom at their legs with the other hand. I have seen other caregivers hold it at the end with the patient’s hips with both hands. Just make sure you match the same way the other caregiver is holding the incontinence pad or it will become crooked once you slide the patient up. You should tell the patient to cross their arms or “hug themselves”, and lift their head. If the patient is unable to do these things, cross their arms for them, and one of you will have to support their head in order not to put strain on their neck. If available, put a pillow at the headboard just in case one of you pull the patient up a little too far. They should never be pulled up that far but it’s always better safe than sorry. Make sure the patient doesn’t try to lift their hips or push with their feet and believe me when I say many will try if they are able. This will only work against what you are trying to do. After the patient is ready, tell the other caregiver on the count of three to slowly but forcefully pull the pad upwards. Make sure you do this gently. It may be difficult, especially with heavier patients or patients that just had certain surgeries. This can easily become uncomfortable for them. 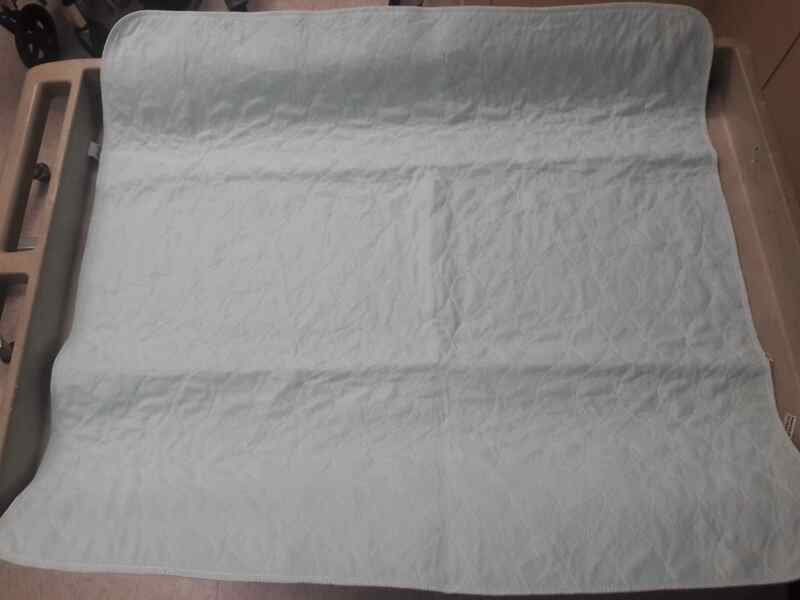 Incontinence pads can also assist in turning a patient. Whatever the reason may be whether it is to reposition them, change their adult diaper, or to change the actual pad itself, it can really help. It is best to place one on the bed before the patient gets in the bed but it is still possible to put one underneath them after they are on the bed. You will just have to be extra gentle and grab the patient instead of the pad. Just stand on the side of the bed where you want the patient to turn. If they are able, ask them to grab the side of the rail, if the bed has one, on your side with their arm on the opposite side. When the patient is ready, grab the pad at the opposite end you are standing at and pull it upward and towards you assisting the patient onto their side. If you are doing this to reposition them, put the pillows or wedge in place and slowly put the pad, and the patient, back down. If you are changing the pad or their adult diaper, you will need to support the patient and put the pad back down on the bed. Then, tuck the old pad under the patient and put a new one underneath the old one. The best way to put a pad underneath the patient is to partially roll it up on one side. Then, tuck the rolled end underneath the old pad and the patient as much as you can, without hurting them of course. After it is in place, warn the patient of the slight hump they are going to roll over and have them roll back onto their back. After that, have them roll the other way in the same manner they rolled the first time. Pull out the old pad and unravel the rest of the new pad from underneath them. Incontinence pads really do make things much easier for a caregiver. Keep plenty of them around and use them often. You’ll be glad you did.